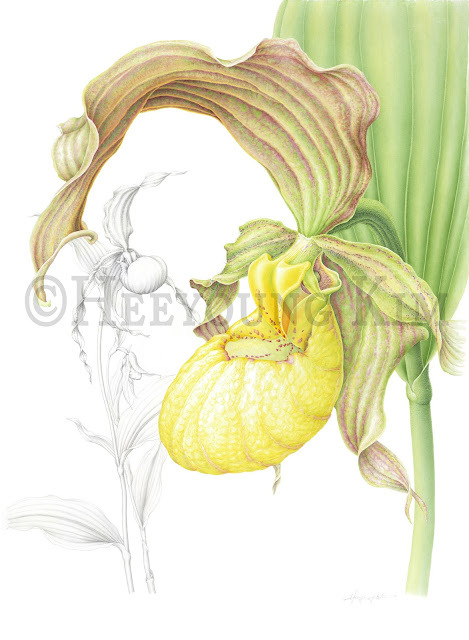 While getting ready for my composition workshop at Ryerson Woods, I found this article that I wrote for the American Society of Botanical Artists' journal a few years ago. I tried to explain how I plan my painting through the growing seasons of the specimens. 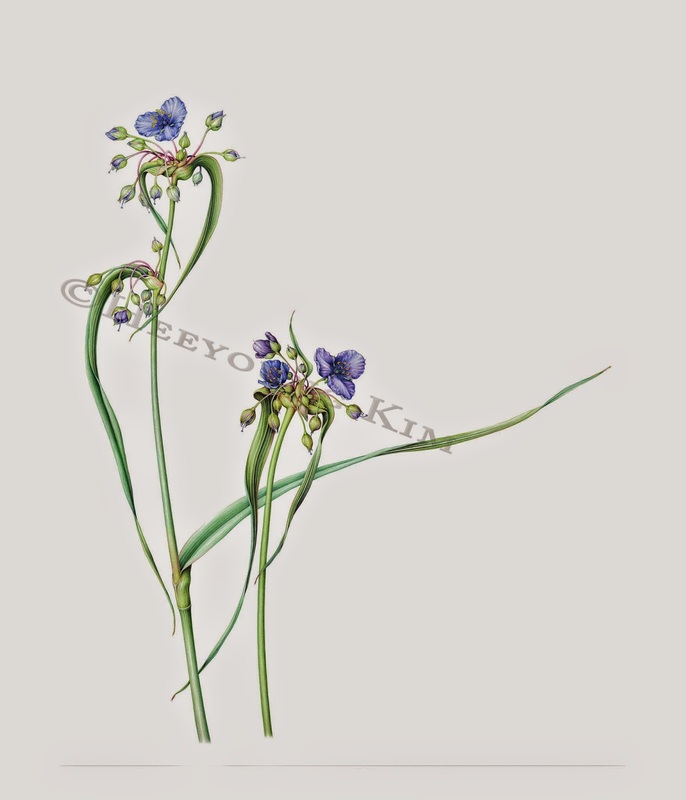 It could look a little odd when I draw these composition lines first, as most people believe botanical artists would draw or paint plants exactly as they appear. However, we also could enjoy freedom as much as we know about our specimens. Sorry! Somehow, this link doesn't work.